Limited space? Less-than-optimal design? If your kitchen is overrun with unorganized pots, pans and utensils, and you always seem to be out of essential ingredients for the week’s recipes, you may just need a re-think, not re-model. Marlin Spring offers these tips from the pros that will have your space as clean and functional as a Michelin star restaurant. The commercial kitchen is an ideal design to replicate in your townhome or condo because it’s designed to be streamlined for optimal functionality. In a commercial kitchen, the cooks need to be able to grab and go as they turn out dish after dish. You can mimic this logic in your residential kitchen by having a clear spot for everything — silverware, utensils, foil, jars of spices–making the most of your space. You may not be a professional chef, but you can aspire to organize like one! Drawer inserts are a must! 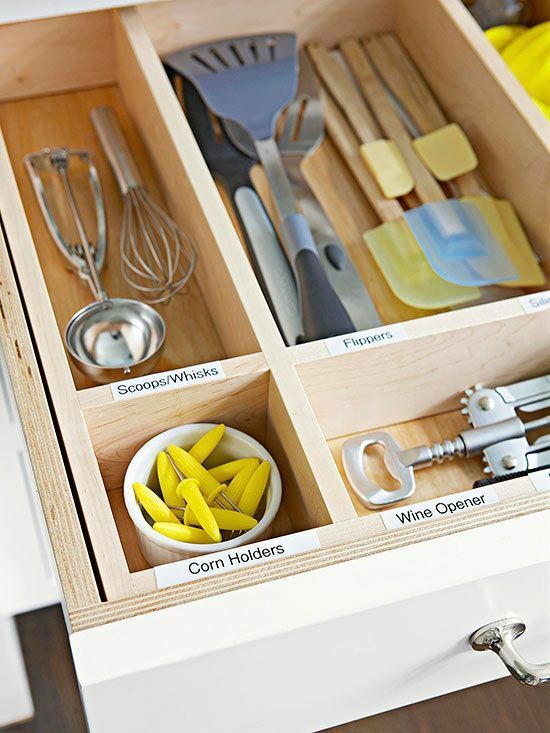 They save a ton of time looking for cooking utensils (especially when you are looking for one specific utensil) and optimize your drawer organization. Storage inserts are a must! They save space compartmentalizing your essentials as well as makes it easy to put things where they belong! Keep your countertops free of clutter! Make the most of your countertops by using a cake stand to hold olive oil, salt, pepper, and other frequently used seasonings. This will clear the clutter, making it easy to find and use these ingredients while you cook, gives you more space to arrange other herbs and spices around the base of the pedestal–and gives a unique design flare to your kitchen. It’s not just about how you organize, but where you organize. Keep all of your pots and pans and tools centrally located around the stovetop, sink and refrigerator — the action triangle of the kitchen. Make use of deep cabinets with items you use frequently but not necessarily daily, and keep your everyday kitchen staples within arm’s reach. Store herbs and spices in glass jars on open shelving near the cooktop–it’s easily accessible and beautiful to look at. Your best pots and frying pans should be hanging within your action triangle. Mount a handrail and several S-hooks to turn a few square feet of wall into a convenient rack for your essential kitchenware. Handrails support more weight than towel holders and range in sizes from 12 to 32 inches long. Use a magnetic strip to keep knives at an arm’s length when you are ready to chop, slice, or dice. By utilizing all these small yet essential quick organizational tools, your kitchen will instantly feel more functional. You will also avoid the constant cabinet avalanche of cookware! Pare down your kitchen tools. All those ‘as seen on tv’ gadgets that don’t work or you’ve never taken out of the packaging are just complicating your kitchen. Throw away all the trendy gadgets, the choppers, slicers and dicers — and learn how to use a chef’s knife. The side of a knife can be used to smash garlic, replacing a garlic press. If you can’t kick a certain gadget habit, store it in its box with all its parts rather than dumped into a drawer. Your dishware can also be simplified by owning just one set. White complements any food and any occasion and looks great on open shelving. Keep one beautiful, quality cutting board out on the counter; use one side for cutting and the other for serving. Double — or even triple — duty items are ideal for simplifying. 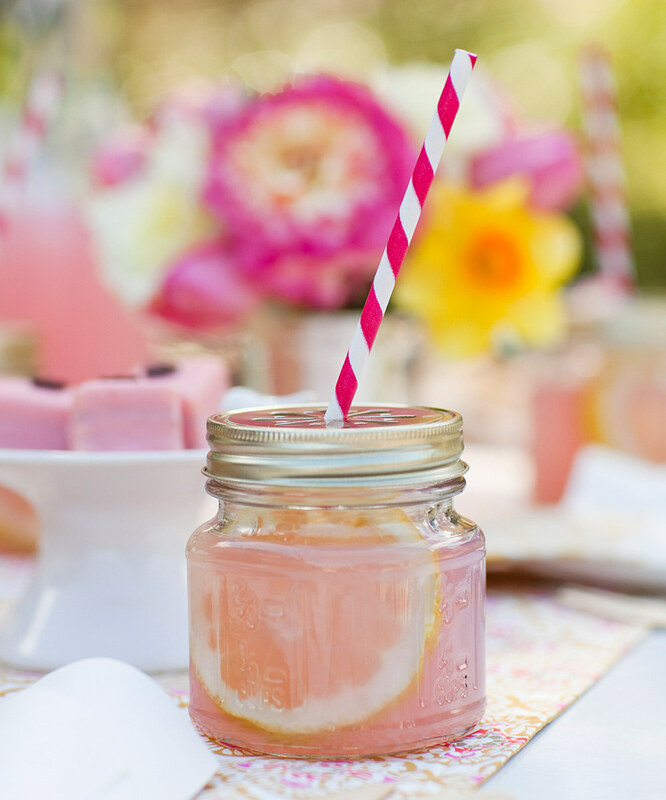 Mason jars can serve as food storage, allowing you to get rid of bulky plastic containers as well as be used as trendy drinking glasses to give a unique charm to cocktails and your summer lemonade! For those of you who are more technically savvy or those who simply rely on the old fashioned paper and pen, keeping lists right in your kitchen is a must. Get your grocery list going on a pad right next to the fridge, or try a chic minimalist dry erase board. Not only is a dry-erase board more environmentally friendly, but it also saves space in your already crowded and cluttered kitchen. By focusing on what you’re about to be out of rather than just writing down what you’ve emptied, your meal planning will be more efficient. There’s nothing worse than needing a cup of milk and looking in the fridge and noticing that you don’t even have enough for this evenings coffee! For those who are into the latest version of technology, a tablet can be used to help in your kitchen simplification. The FoodKeeper app can help you keep track of when your groceries are nearing the end of their shelf life and need to be replaced — plus it offers smart tips for food storage. Recipes can be organized in a kitchen-devoted iPad, displayed in an almost-invisible, inexpensive acrylic plate stand to prop up the tablet on your kitchen counter, or a mount on your wall, keeping it easily accessible with minimal fuss. Whether you’re a busy dad prepping the kid’s lunches, a mom on the go, or the foodie who enjoys the art of cooking–everyone wants to make things run more smoothly in the kitchen. Now that kitchens seem to be getting smaller and smaller, organization and simplification make your kitchen feel larger than it actually is. These professional tips will give your kitchen a sleek smart re-design and find a place for everything — and keep everything in its place.